Ofsted's Chief Inspector, Amanda Spielman, spoke to the Association of Colleges (AoC). Thank you David. And thank you to the AoC for inviting me here today to give my first speech as Chief Inspector on post-16 education. It was not long ago that I was working closely with the AoC from another place in the system, as Chair at Ofqual. During my 5 years there, I was steeped in reform of vocational education and spent many hours having useful conversations with AoC members about that work. I’m thrilled to have the opportunity to build on this relationship in my role at Ofsted. Qualifications are just one area of change in the sector over the past 6 years: new college mergers, sixth form academies and devolution deals have fundamentally transformed the FE landscape. So have reforms to apprenticeships, including the levy and the introduction of new standards and end-point assessments. And, of course, there have been significant funding pressures, which I’ll turn to later. Having spent the last 9 months in a fortuitously long lead into this role, visiting colleges around the country, I have seen the dedication across the sector to making all this work. And I know there are more changes round the corner, with the 15 pathways and new T-levels coming out of the Sainsbury review ‘Post-16 skills plan and independent report on technical education’. Brexit, of course, will be the biggest of all. The vote last June means that we now face a very big and unavoidable change in how we think about education and training in England. All of this means you are operating in an uncertain and high stakes environment. But the flip side is that we have a real and unique opportunity to make sure our young people have the knowledge and skills to succeed in the labour market and to provide the home grown talent we need in the years ahead. Seizing on those opportunities means we need a much more positive and purposeful relationship between Ofsted and the FE sector. And so I want to use today to reset that relationship. I want to say, from the outset, that I see my role as Chief Inspector as an enabling one: one that gets the most from the valuable work you do. In practice, that means I will not be using my position at Ofsted to impose my personal views or to make un-evidenced claims about the sector. What I am interested in is collecting inspection evidence, analysing it rigorously and reporting it objectively. This should be the sole basis for Ofsted’s interventions. And I want you to be focused on what matters for your students: the right education and training that leads them into full and successful lives. Sometimes, that will mean delivering uncomfortable messages or challenging areas where provision isn’t yet good enough. But it will also involve recognising what works and building on that success. We all know that Ofsted’s schools work is what attracts most media coverage. But I am not Her Majesty’s Inspector of Schools. The rather alarming job title is Her Majesty’s Chief Inspector of Education, Children’s Services and Skills. And I take all parts of that title equally seriously. My role is to consider the interests of all students – adults as well as young people. Too often, although more than half of 16- to 18-year-olds are on a mainly vocational route, both commentators and policy makers see this route as something for ‘other people’s children’. And for decades, phrases like ‘parity of esteem’ have been thrown about as though they solve the problem. It is seldom acknowledged that you cannot dictate parity: the quality of vocational education must speak for itself. So the role of colleges and the FE sector is critical. Many of you take on the difficult job of educating young people who haven’t reached their potential in school. That is why my approach to colleges will be to treat them with the same rigour, and with the same regard to the evidence, as any other area we inspect. Because that is what you and your students deserve. When I spoke at the ASCL conference last week, I talked about how a responsible and intelligent inspectorate could be a real force for improvement in schools. I want to adopt this approach across all our remits. And I will be taking my lead from the many people at Ofsted who have built it up to be a considered, conscientious inspectorate. And particularly from Paul Joyce, our Deputy Director for Further Education and Skills, without whom we would not be having such useful conversations with the sector. We have a lot of expertise in FE across our senior team. As you may know, both our Chief Operating Officer, Matthew Coffey, and our Regional Director for the West Midlands, Lorna Fitzjohn, have previously been National Directors for FE. My approach as Chief Inspector will be aligned to the rational, evidence-based approach that our team takes to inspection. Because it is only when you have evidence on your side that you have the authority to make respected judgements which genuinely drive improvement. That means Ofsted being scrupulous giving what can be difficult messages – whether to individual institutions, the sector as a whole or to government. In delivering those messages, I don’t want us to lose sight of the fact that 7 in 10 colleges have been judged good or better or to ignore the excellent practice we see. And I know there are some excellent partnerships with businesses and employers out there. But while we must recognise the good practice, we can’t lose sight of the fact that inspection grades have been in decline for at least 2 years now. This is a worrying sign and a trend that needs to be reversed: too many colleges are struggling to maintain quality and too few that require improvement are demonstrating the capability to do so. That challenge means that we – and I use we in the broadest sense –need to take a hard look in the mirror to ensure we are doing all we can to make sure that college education is the best it can be. To do that, we need high-quality leaders and managers who have the right experience to run what are becoming even larger and more complex colleges. We need to recruit and invest in high-quality teaching and support staff with the right industry experience and expertise. And, most importantly, we need to make sure the curriculum offer meets the needs of, and is shaped by employers, communities and the economy – both now and in the future. We know that there is a lot of high-quality provision today– especially level 3 courses: good examples are engineering, art and design, catering and hospitality. But there are still some courses that of questionable value, particularly at level 2 and below. I am worried about lower level courses that do not sufficiently challenge students and courses that don’t lead to meaningful progression or employment opportunities. It is imperative that college education gives students at least a level 2. As our annual report highlighted, the employment rate for adults whose highest qualification was below level 2 was less than 60% compared with around 80% for those qualified to level 2 or above. Too many students finish their education with nothing more than a level 1. I said in my ASCL speech last week that what students are learning in education matters just as much as how well they are taught it. Indeed, this is perhaps even more true in colleges than it is in schools. That’s why I announced that the curriculum will be Ofsted’s first big thematic review in my tenure. The further education curriculum offer will be a major part of that. We will be looking at what is typically intended for the curriculum in colleges and what it looks like when it is done well. My hope is that this review will provide some real insights and I also hope it helps with the evolution of the pathways and T-Levels nationally. Of course, one area of the curriculum has dominated almost all discussion in recent months and that is English and maths GCSE retakes. This is a well-intentioned policy, but in its current form we can see that it is causing significant problems. Let me be clear: when it comes to success in the labour market, nothing is more important than literacy and maths. We know that they are highly valued, with employer surveys and wage premiums showing that employers will pay more for people who are literate and numerate. And, more than that, learning English and maths unlocks so many other areas of knowledge – engineering, business and IT, but physics and philosophy too. All of these are mere chimeras without a strong grounding in the fundamentals. And we still have a long way to go to make sure all our students leave education with the knowledge and skills they need. According to the OECD’s survey of adult skills, England is unique in that our young people have literacy and numeracy skills no better than their grandparents’ generation. So a focus on English and maths is an indisputable priority. But we must ask ourselves whether expecting all students without a C grade to retake English and maths is the right way forward. We all saw the, quite frankly miserable, statistics last year when less than a fifth of students managed to get a C or higher when they retook their GCSEs last year and around two-thirds of students overall did not manage to improve their grade. That is such a waste. I spoke last week about the dangers of chasing performance data without looking at the wider curriculum for young people. Many of you have told me that this is particularly true for you as colleges, as the condition of funding can create an incentive to put students on resit courses that don’t align well with their needs. We know that for some students this can really knock their confidence. Our inspections tell us that attendance is generally lower in English and maths classes than for other subjects, and for those studying both subjects it can be even worse. That cannot be right, particularly as we should be making sure time is spent as productively as it can be. We also recognise that the policy has a disproportionate effect on different institutions. In general further education colleges, around three-quarters of students are on a vocational route, whereas in sixth form colleges it is around a fifth. The motivation and attainment of students in each route is different and so is their likelihood of attaining a C or better at the resit. And a GCSE D grade covers quite a wide range of attainment: those on level 2 courses in FE will probably be at the lower end of the grade profile than those on A-level courses in a sixth form. We have to recognise this in interpreting results data. Our hope, therefore, is that while maintaining this important policy objective, the government will reflect on feedback from Ofsted and the wider sector to refine its approach to promoting these vital maths and English skills. For Ofsted’s part, we will continue to evaluate English and maths provision in the round and consider this proportionately in the context of the wider curriculum. Our inspections already do recognise the difference between institutions. As my colleague Paul Joyce wrote in a recent article, inspectors look for much more than just qualification achievement rates and grades: they are judging the overall quality of provision. 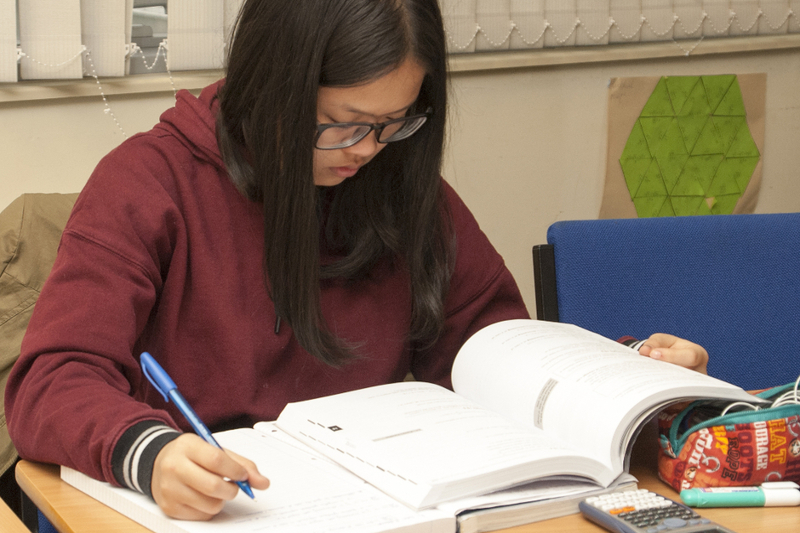 They do look beyond progress scores to see whether students are applying English and maths consistently and confidently, especially in the context of their main course of study. It would be remiss of me not to talk about the funding situation you face. I started this speech by saying that, post-Brexit, we need, more than ever, to make sure we are growing the skills we need at home. In fact, it’s worth pointing out that it’s one thing those on both sides of the referendum debate completely agree about! But growing that talent requires prioritising investment in both 16 to 18 and adult education, in a way that simply hasn’t happened in recent history, by governments of any political complexion. I hope that you will see, throughout my tenure, that I am not someone who thinks the solution to every problem is to throw more money at it, which will probably disappoint the Today programme. In fact, some of the greatest white elephants in education have been a result of over generous funding and too little accounting: Individual Learning Accounts and Train to Gain spring to mind. Public institutions have a responsibility to deliver value for money and an excellent education can be delivered efficiently. I am sure very few of you would disagree with that. But what is undeniable is that, while the other age ranges have been largely protected from funding pressures until recently, the same has not been true for education post-16. spending per pupil set to be no higher at all than it was in 1990. This has had real consequences, and I do not need to tell you about the precarious financial situation many colleges find themselves in. And while college funding is the domain of the SFA [Skills Funding Agency], and not Ofsted, we do know from our work that it is having an impact on the quality of education. That is why I welcome the £500 million funding commitment to develop the Sainsbury review pathways and support the introduction of T-Levels. I am also encouraged by the £1.5 billion funding that the government has committed to adult further education next year, outside the costs of apprenticeship training. Similarly, the principle of area reviews is something to be welcomed. It must be right that we have the proper balance of sustainable provision in an area. But what we do know is that mergers of themselves rarely lead to the Promised Land – and indeed a focus on structural change can distract from the business of teaching students really well. I do believe that there are good opportunities for exploring new models going forward. For example, we’re at the early stages of bringing some colleges into multi-academy trusts. Done properly, some of these new models may create better student pathways as well as aligning accountability and improving financial sustainability. But structural change of itself is not enough. My hope is that the announcements in the budget pave the way for a new approach to FE funding, where the benefits of investment are realised and the temptation to keep paring back is resisted – though I suspect on that I am preaching to the converted. So in summary, I have 3 messages. The first is that I really do understand the importance of the college sector and the challenges you face. The truth is this, you are too important to be ignored as a Cinderella sector. We owe it to the vast number of students passing through colleges every year to make sure their education is as good and as valuable as it can be, and our economy demands that too. The second message is that I am concerned about some areas of weakness: I think we do all know where they are. But we must keep these concerns in proportion to the seriousness of those weaknesses. And thirdly, we recognise that we will not create the high-performing sector that we all want by simply focusing on weaknesses and those areas that need to improve. Instead, we want to help the sector to build on its strengths, to recognise what is good and where there are interesting developments, and to support, rather than hinder, the development of sustainable partnerships that will promote your future success. That is the task that I am setting for Ofsted over the next 5 years and I look forward to working with all of you to achieve it.